When you drive your car or truck in the suburb of Warwick, you’ll want the peace of mind to know that a reliable local towing service is available on demand. Executive Towing Services can recover your damaged or malfunctioning vehicle and transport it to any location in the suburb that you’d like. We have serviced clients all over Warwick for several years and established a great reputation as the suburb’s preferred tow truck service provider. Customer satisfaction is something we pride ourselves in. Our tow truck operators have the experience and skills necessary to transport virtually any type of vehicle. All you need to do is give us a call at 0410 471 056 and we can arrange to have a tow truck operator come out to your location as soon as possible. There are thousands of individuals who drive vehicles in Warwick. Anyone of them could need a tow at any time. You could be one of these people if your car suddenly breaks down or incurs damage from an accident. The last thing you’ll want to experience is the feeling of being stranded somewhere for hours on end. Fortunately, you can make one phone call to Executive Towing Services and take care of that dilemma quickly. We have customer service operators standing by who can dispatch help to your location in a hurry. Another type of towing service we offer to individuals of Warwick is vehicle relocation. For instance, if you have a high-performance vehicle which is completely customized and has a low suspension, you’ll want to make sure that it is transported safely to your desired destination. The tow truck operators of Executive Towing Services have specialized equipment and trucks which are made to haul unique vehicles like yours. After your vehicle is successfully relocated, there won’t be a scratch or scuff on it. That is our promise to you. There are several shopping outlets and restaurants in Warwick. Some of them depend on their commercial vehicles to make deliveries to their customers. If any of their vehicles were to break down and fail to operate, it could be devastating for the business. Not only could they lose potential new customers, but they could upset their current customers. To ensure this doesn’t happen to you, Executive Towing Services can tow your commercial vehicle to any location in Warwick that you wish. Our tow truck operators have the equipment and tools necessary to transport your bigger trucks with totally safety and security in mind. At Executive Towing Services, we pride ourselves in the credentials of our tow truck operators. 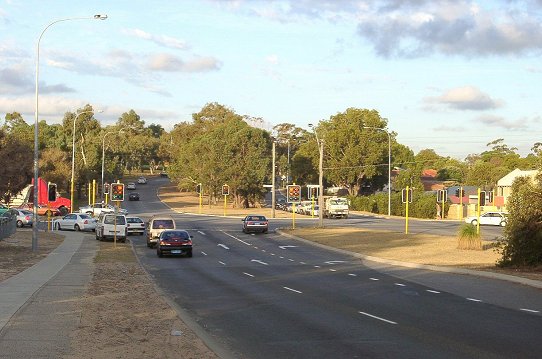 Each one of them is fully insured, licenced, and qualified to provide towing services in the suburb of Warwick. Our company is praised by locals because we’ve built a reputation of providing fast and affordable customer service. When you call 0410 471 056 to request a towing service, we will dispatch someone to your location immediately. Within minutes, a tow truck operator will be there to transport your vehicle to the proper destination. Visit our website or speak with our customer service representative to find out more information on our services and pricing.